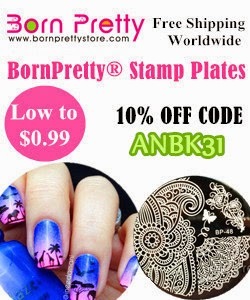 Born Pretty Store offered me soe new items, and the stamping plate BP-L059 is the first I want to show you. Thank you so much Born Pretty Store for this opportunity! 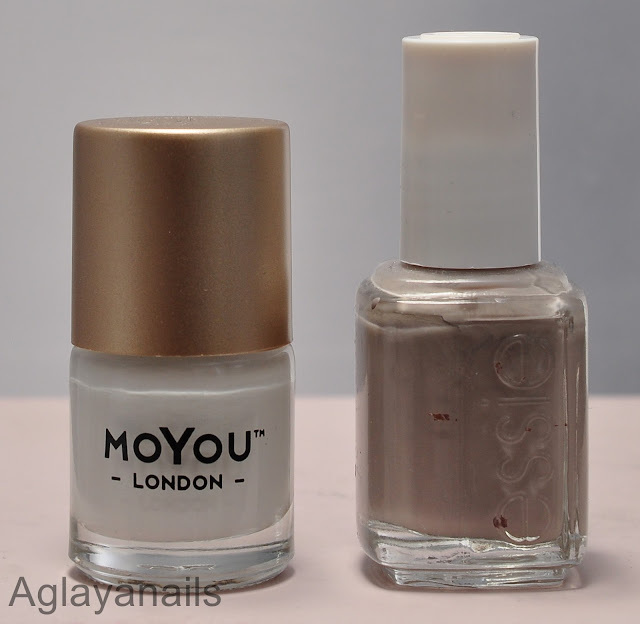 As base color I used two medium coats of Essie Take It Outside (shown here), a greige creme with purple/lilac undertones. 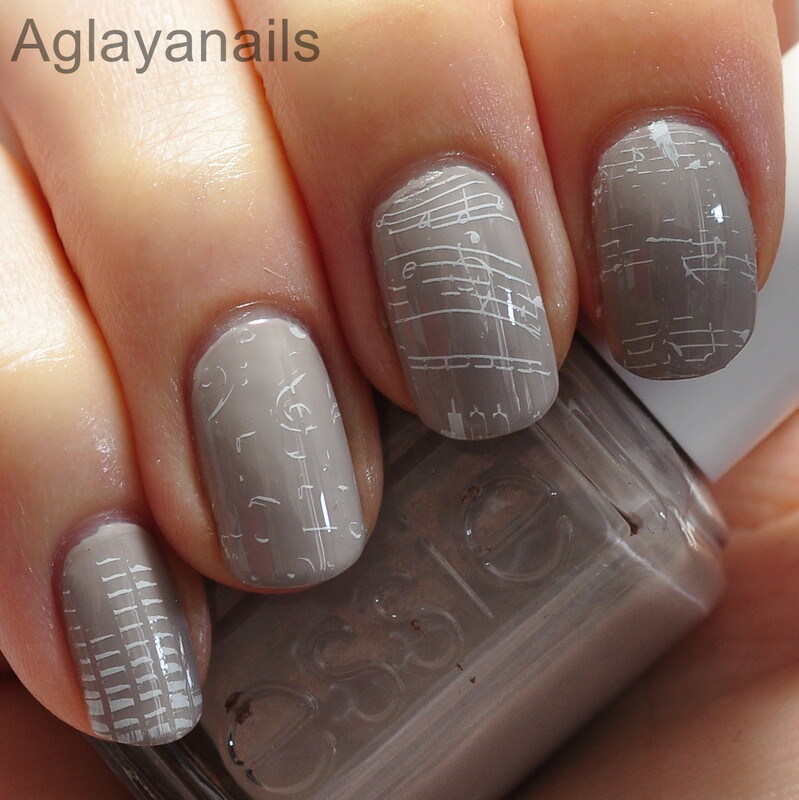 For the stamping I used MoYou London White Knight and the Born Pretty Store plate. Sadly, this was the first BPS plate I wasn't happy with at all. 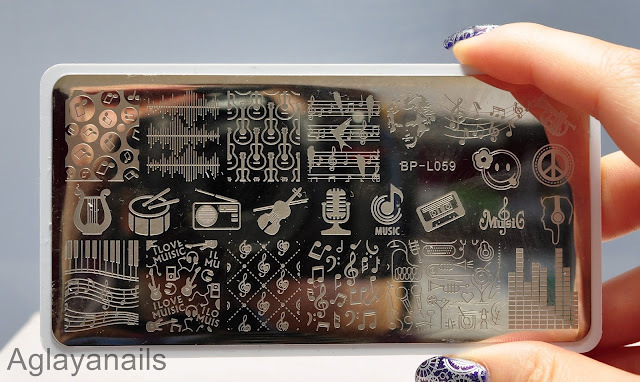 The engravings are way too shallow, so I wasn't able to pick up the designs properly (as you might know, I stamp my nails at least once a week, so I know it's not due to my technique, the stamper or the polish...). I tried five different designs, but had the same problems with all of them. The plate has the same size as the MoYou plates, and also a white plastic back. You can get it here for 2.99$, but honestly, I can't really recommend it.